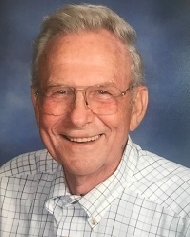 Charles Leland Fontenot obituary. Carnes Funeral Home. Aug 4, 2018 Sincere condolences go out to the family. Please find comfort and hope in the guarantee that soon death will be no more (Rev. 21: 3, 4) and the exciting promise that those we have lost will be reunited with us again (Acts 24:15 & Psalms 37:29). Charles Leland Fontenot, the second of four sons born to Ulysse JB Fontenot and Dorothy Laflur, was born on June 15, 1938 in Ville Platte, Louisiana. He was baptized the day after his birth at Sacred Heart of Jesus Church. He attended Landry Memorial High School in Lake Charles, Louisiana under the guidance of the Christian Brothers. Leland served in the United States Navy aboard the USS Randolph in the Mediterranean Sea from 1957 to 1961. His main responsibility was as parachute rigger for airplane pilots. After an honorable discharge from his service in the Navy, Leland began his college education at McNeese State University where he studied architecture. He transferred to the University of Southwestern Louisiana where he received a Bachelor of Architecture degree. While attending USL Leland met his sweetheart, Marylyn Meadows, and their marriage vows were witnessed by Monsignor Charles Mallet, who was Leland’s spiritual director and devoted longtime friend, on October 21, 1967 at Our Lady of Prompt Succor Catholic Church in Alexandria Louisiana. Leland, age 80, walked the stairway to heaven on Wednesday, August 1, 2018. His sweetheart of 50 years is blessed with an abundance of tender memories. He was the king of his castle when his two princesses, Kelley Lea (Travis Twardowski) and Kristin Amier (Charlie Lloyd), entered the storyline. He is survived by three brothers, Gordon Fontenot and Gilbert Fontenot (Ginny) of Lake Charles and Mike Fontenot (Cheri) of Baton Rouge; five grandchildren, Trip Twardowski, Nate Twardowski, Luke Twardowski, Jamison Lloyd and Hadley Rose Lloyd. His nephews Charles Fontenot, Colin Fontenot, John Nash and Todd Nash, Lucas LaCour, Michael Jeffress and nieces, Karen Haman, Pamela Seal, Lisa Johnson, Mary Piper Wilson, Annette Landry, Hannah Graczkowski and Moria Fontenot felt a special bond with their Uncle Leland. Leland always felt a calling to serve his family and friends. He was president of the Tau Kappa Epsilon social fraternity at McNeese and past Grand Knight of the Knights of Columbus, Council 3910 where he initiated “His Hands of Hope” golf tournament benefiting Saint Thomas More parish. He devotedly practiced architecture in Houston and Galveston from 1977 – 2007. Upon retirement his membership in the The American Institute of Architects changed from Architect to an Emeritus status. Leland’s roll as the UTMB-Galveston Campus Facility Planner for over 10 years was the perfect complement to conclude his career; the medical program there was very important to him. Leland, AKA “Big Buddy” to his grandchildren, provided above and beyond for his family every day of his life. When he was not helping family and friends, Leland had a love for goose and squirrel hunting, fishing and photography. Leland was a devoted father, husband and grandfather spending many hours supporting his grandchildren in their personal love for the outdoors. Over the years, Leland and his hunting buddies shared many early morning hours in goose blinds where Boudreaux and Thibodeaux jokes where exchanged. His selfless, charismatic, and joyful spirit will be missed but forever carried on by those who loved him. Leland's body was accepted to the Willed Body Program at the McGovern Medical School (UTHealth). May Leland rest in eternal peace. In lieu of flowers, please donate to.